From September 14 through October 9, the Boston magazine Design Home at The Pinehills, which was designed and built by Polhemus Savery DaSilva, will be open for tours. All ticket proceeds from the tours will benefit Boston Children’s Hospital, the non-profit partner. Our company is thrilled to be part of this collaboration as a sponsor. 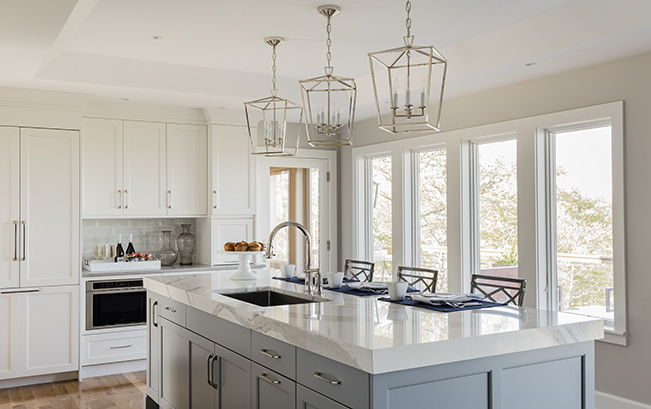 Take a tour of the home, and be sure to check out the kitchen we designed, as well as the wet bar, dining room cabinetry and bathroom vanities, all by our team at Classic Kitchens & Interiors. This home is on a spectacular hilltop site, with a view of Cape Cod Bay over a woodland scene. On a clear day, you can see all the way to Provincetown. For more information, visit the Design Home website here.